I’ve been a ham radio licensee for a week now! I passed my General license exam on Feb. 2 and got my call sign about a week later (KC9YGN) and now I can annoy people on the radio as well as on the Internet. The rather intimidating looking gadget is my Kenwood TS-2000 multi-band transceiver, and yeah, it’s as complicated as it looks. Just got the thing unpacked this morning and I’m still suffering from a bit of shock. It’s going to take me longer to figure out how to use the thing than it took to study to get the license in the first place. 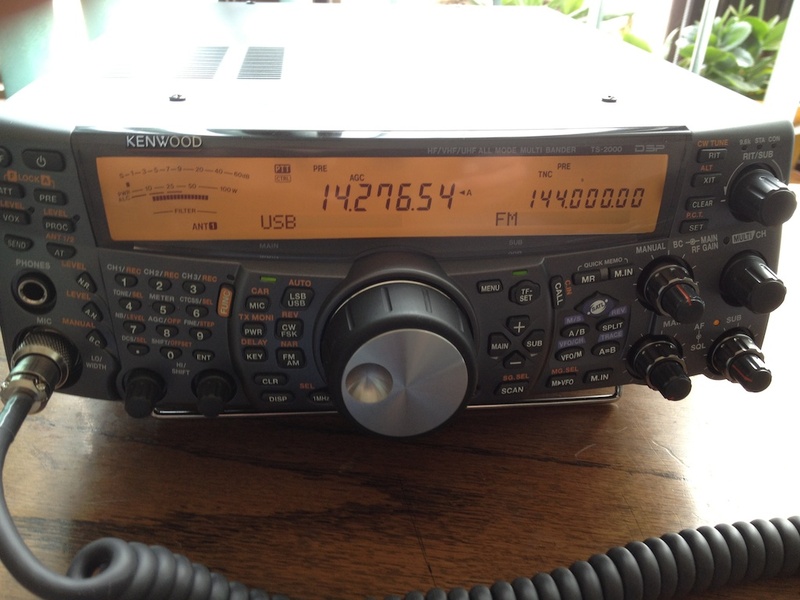 Right now I’m limited to VHF operations because I don’t have the HF antennas set up yet. And the VHF antenna is not mounted up on the roof, but leaning up against a wall because it’s hard to install antennas when there’s 8 inches of snow and ice on the roof. The most frustrating thing is that I’m getting some really nasty interference from somewhere in the neighborhood that completely wipes out one of the more popular VHF repeaters in this area, and we can’t figure out where the hell it’s coming from.